Uzhgorod Airport, located in the western Ukrainian city of Uzhgorod, center of Zakarpatye region, has been closed for several days; the Ukrainian State Aviation Service has suspended its security certificate. The aviation authorities carried out their decision based on the results of an audit they conducted at the airport jointly with the Ukrainian Security Service. A number of security system shortfalls have been detected, and until they are removed, flights in and out of the airport will be suspended. The airport’s general director, Vladimir Gorinetskiy, asserted that the major causes of criticism have been corrected. For instance, a fence around the airport’s perimeter will be built as soon as possible. The only carrier that flies to Uzhgorod is Motor Sich, which operates flights from Kyiv. 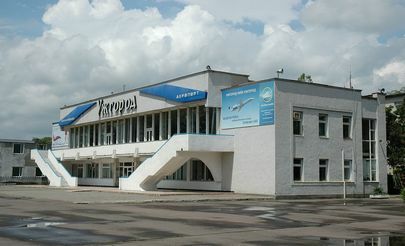 Uzhgorod Airport also faces financial difficulties. Last year, it was on the brink of closure after the airport failed to pay for the services of the national ATC provider, Ukraerorukh. The bill came to 6 million hryvnia (almost 250,000 dollars), whereas the airport’s income does not exceed 3.5 million hryvnia. The cost of air navigation service is rising because the airport is located close to the border with Slovakia, and incoming and outgoing planes cross into that country’s airspace. Uzhgorod Airport has international status. It has one 2038 m by 40 m runway. There are plans for infrastructure reconstruction, including the runway, sometime within the next year or two.